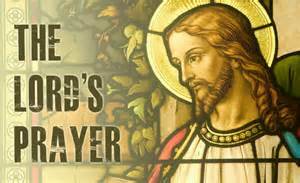 In the common Christian prayer given to us from Jesus, the Our Father or Lords prayer, we know that God is in heaven. Sometimes we hear that God is everywhere, that also makes sense. Although God is supposed to be ever present, He hasn’t appeared much and when He has He takes various forms on these rare occasions. A burning bush, a pillar of smoke or fire or a voice from a cloud are examples. In the Garden of Eden, before the first sin, God walked about the garden and talked with Adam and Eve like family members. We can possibly think of the situation as a spiritual and physical presence of both the creator and creations but with freedom to be in harmony or not. When the choice to override Gods law was made, Adam and Eve hide from God in shame of their newfound awareness of being naked (and disobedient). This first division made by choice represents our predisposition to acting on personal desires above Gods will. God has a plan to solve this dilemma so reunion with His creations is possible. In times of distress many have had what is called a “Come to Jesus” moment. They may take place in a jail or hospital on a mountain, in a garden or in a church even laying in a gutter. Only God knows if the moment will begin a fresh path or just be a convenient feint. Like an addict who has quit the habit several times, it takes more than a nod of the head to be successful. God does not want us to fail. He provides us with tools, comfort, nourishment and aides. Everything we need from forgiveness to enlightenment is provided through His word and the presence of His Spirit. God calls out to us in many situations in the best of times and in the worst as well. Like a welcome guest at our door, a warm smile with a heartfelt invitation in is the perfect entrance for union or reunion. Eternity will bear witness to our trust in our Father.